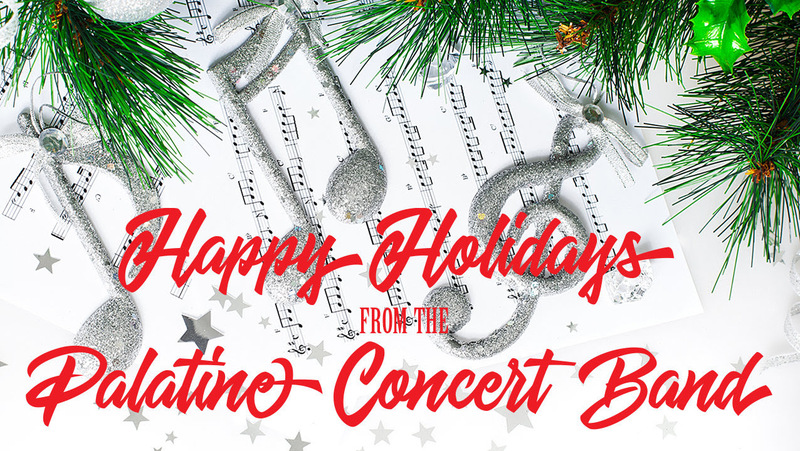 Our annual Holiday Concert is this week – Friday, December 1 at 7:00pm at The Cutting Hall Performing Art Center in Palatine. We will be featuring traditional and contemporary holiday favortites; give you an opportunity to sing-a-long, and of course, a visit from Santa is on the schedule for those young and young-at-heart. As always – we so appreciate your support and we thank you for your commitment and patronage. We look forward to seeing you this Friday evening. Also please mark your calendars now for our 2018 indoor concerts. See the schedule below. Click on the blue button below to download a concert flyer that you can share with your family, friends, and community. Feel free to print out a copy and take to your favorite place of business that allows a poster. All indoor concerts take place at Cutting Hall, 150 E. Wood St. in Palatine. Tickets are $8 for adults and $5 for students/seniors. Tickets are available at the door, or in advance either online at the Cutting Hall Box Office www.cuttinghall.org or phone 847-202-5222. Please feel free to forward this email to your friends. As always, thank you for your continued support and patronage. If it weren't for you, we would not have a reason for being here. We look forward to seeing you at the next concert. Article originally appeared on Palatine Concert Band (http://palatineconcertband.org/).